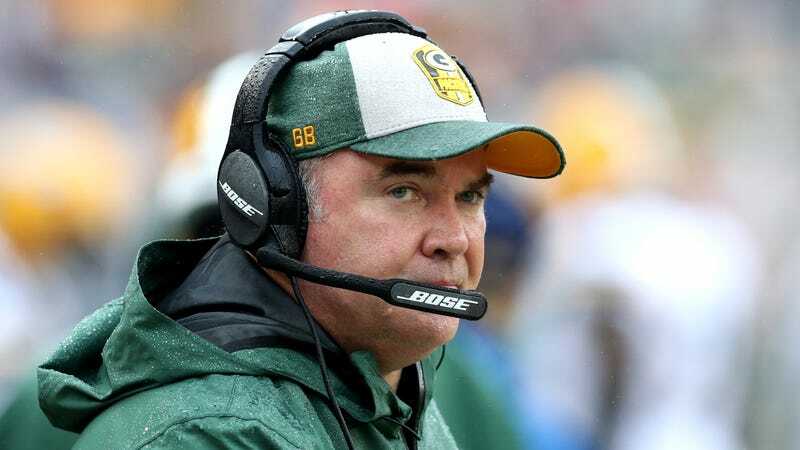 The Green Bay Packers have fired head coach Mike McCarthy following the team’s loss to the Arizona Cardinals. The team announced that offensive coordinator Joe Philbin will serve as the interim head coach for the remainder of the season. Packers President and CEO Mark Murphy released a statement about the coaching change. McCarthy had been with the team since 2006, and was Aaron Rodgers’s head coach for the entirety of his professional career so far. But McCarthy had recently shown an inability to elevate his team to heights that upper management deemed acceptable. A team that once had a high-octane offense had been shriveled down over the past couple years to the shell of its former self people see today, particularly this season. McCarthy’s offensive play-calling began to look more and more suspect as the weeks progressed, and Aaron Rodgers had reportedly grown to despise his now-former coach—an inevitability given how often he’s had to bail his team out. Combine those issues with a loss to the second-worst team in the league, along with any chances of making the playoffs, and you get a recipe for coach destined to get shitcanned. McCarthy ends his tenure as head coach with a record of 125-77-2, nine playoff appearances in thirteen seasons and a Super Bowl win in 2011.